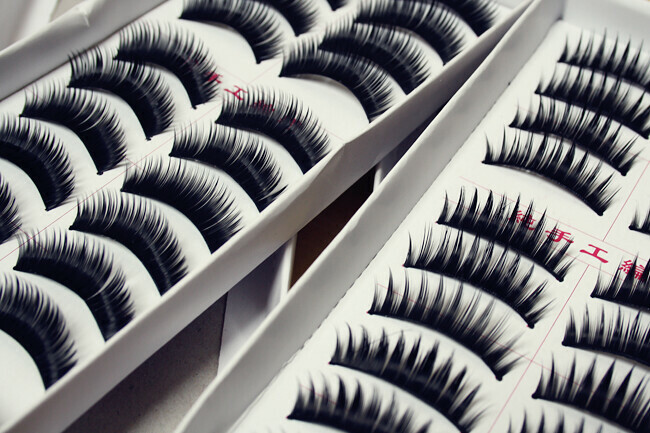 I love false eyelashes and if i had the time and patience I'd probably wear them every day! There are so many brands out there and a lot of them are quite expensive, granted you get what you pay for and for a night out they're fine but if you want to wear them more than once and can't justify the pennies then these ones from eBay are just perfect! When you pay 99p for 10 pairs of lashes you really can't go wrong. Of course they're nothing like Eyelure or Ardell but they do the job and for that reason i love them and keep going back! 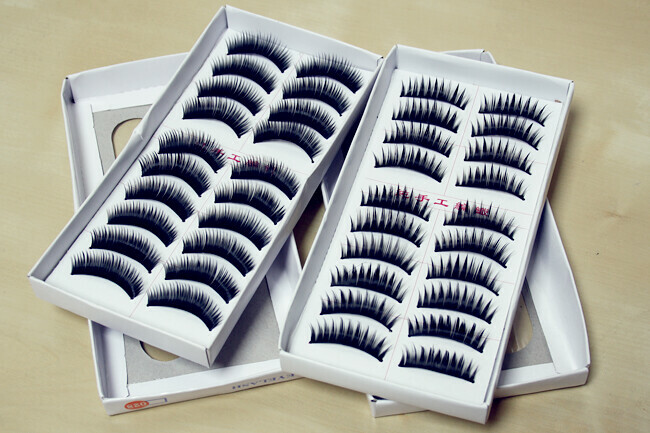 Have you tried these eyelashes? What do you think? i bought some ages ago but they were too thick for me but went on okay, but some recently which were much more natural and they are impossible to put on the band on the lashes is really stiff and they just won't go on :( think i'll stick to the kimberly girls aloud lashes by eyelure! I'm really not one for eyelashes, they seem to really irritate my eyes. Really wanting to give some more a go though. would probably invest in some more expensive ones though to see if they work any better. these do look great though, would definitely buy if they usually work better for me. I bought a huge set of false lashes from eBay and although it only cost me £1 plus free P+P, it took 2 months for it to arrive!!! They didn't work well with my lash glue and just fell off! I've got the ones on the left! I love them so much, I use them with eylure glue and don't have any issues with them at all. I've been tempted to buy these on many an occasion because they seem really good value. Do they come with glue? If not, what is a good glue that you can buy seperately? I agree with the other commentor(?) who asked if you could show what these lashes look like next time you have them on. Would be nice to maybe have a side by side kind of picture? IDK, thanks for the links though, I love your ebay bargain finds! I really like how they look but I don't think they're comfortable to wear many times.